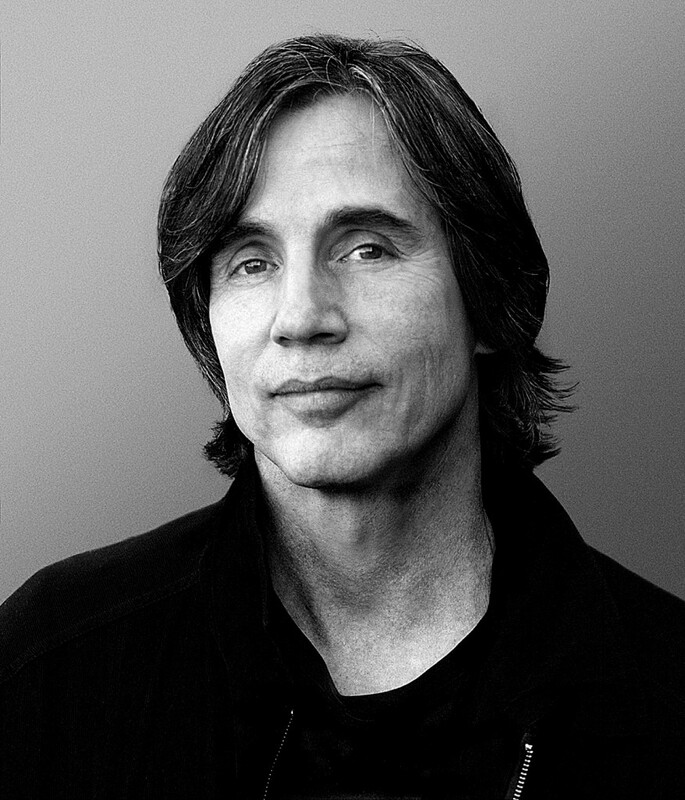 I thought I would start a thread on Jackson Browne seeing that no one has done this before. HIs poetic words, beautiful voice and wonderful music are not to be ignored. I myself mainly prefer his earlier songs. His compassion for his fellow human being and the planet are a bonus that we all benefit by. He does indeed put his time, mouth and money to those causes. btw.....Jackson likes Leonard’s music and words. And there are a few things they have in common. Both have perfectionist tendencies dragging out the time between releases. Also both dated Joni Mitchell, and Jackson knew Nico professionally and wrote some songs for her. He also dated Nico (never mind Leonard!) and Jackson's partner of many years Dianna Cohen has the same last name as Leonard. Also David Lindley who plays on many of Jackson's songs was a musician on Leonard’s first album – Songs Of Leonard Cohen. Firstly, I love Jackson Browne’s words and music. Secondly, I love David Lindley’s violin and all other ‘string’ instruments he plays on Jackson’s songs. The following, in no particular order, are favourites of mine. .....and I tried to keep it short!! Maybe someone has some different favourites they could post. thank you, Bev:-) Have yet to get as far as your other thread with the Bruce duos...I don't have any JB albums, but have a few of his tracks on old compilation tapes, including many of the above. You have made me reflect upon what a good songwriter he is, yes. Sky Blue and Black is a fave. I had never heard The Two of Me before - lovely! Both those songs are on a good album called I'm Alive and another great song from it is above -Too Many Angels as well as the title song I'm Alive. ......and speaking of Xavier Mas, Jackson's latest album from 2010 called Love Is Strange features David Lindley and Xavier Mas. wonderful music and an excellent album! You can hear what a deep thinker and humanitarian he was from the beginning especially with the title song "Everyman" on this his second album. When I posted the above video of A Thousand Kisses Deep I didn't realise that Alexandru Bublitchi, the new member of Old Ideas World Tour was the violinist featured in it. It will be such a treat to see him playing his violin soon! This is an additional video of Jackson Browne singing A Thousand Kisses Deep from a live concert honouring Leonard at Teatre Auditori, Sant Cugat del Vallès, Barcelona, in January 2007 (with Raúl Rodríguez's guitar solo) and Xavier Mas. At approx 5.20mins you can see a good shot of Alexandru. Here is Jackson talking about the song, the band and Leonard for whom he has such great respect. Thus, the sadness of losing his wife and this album have an association for me. Over the years I bought a couple more albums and enjoyed the music, but mostly went back to LftS. Then a couple of years ago I chanced upon the live acoustic volumes. Of course, these recordings give an insight into his personality and values. I enjoyed the humour and spontaneity of his gigs (and the music, naturally). This along with his contribution on Acordes Con Leonard Cohen has me listening to his music regularly. And optimistic with a pretty extensive back catalogue to go at (any recommendations Bev?). As an aside, the music playing prior to the start of his Manchester gig was Paul Brady's The Liberty Tapes. But that's another story. Liamberney wrote: (any recommendations Bev?). Sounds like Manchester was great! Rome, Bologna, Como and Turin – 24th, 25th, 27th and 29th May respectively and then 2 days later is my birthday..... a fitting present to myself it would be to go to all the Italian concerts! I’m considering coming to Hydra in the early part of June so this could just be the clincher! A long way to go from where I live just for a weekend so certainly food for thought. If other things go well then I’d need to decide soon. btw ..... I’m not familiar with Paul Brady but I do like Irish ballads. Thank you Bev. Got myself The pretender, and I'm enjoying it very much. The title track I'm familiar with from his 'Best of' album and listened with interest to Sleep's dark and silent gate. Also particularly like 'Your bright baby blues' and 'Linda Paloma'. Sounds like a 2015 trip to Europe could be fruitful. Just imagine if another of your favourite artists was also touring Europe! To reciprocate your kind recommendations, if you enjoy Irish ballads you could do worse than Paul Brady's 'The Missing Liberty Tapes'. He's joined in concert by some illustrious Irish musicians, Andy Irvine, Donal Lunny, Paddy Mackin, Liam O'Flynn, Matt Molloy and Noel Hill. Clearly, the recording caught Jackson Browne's attention. 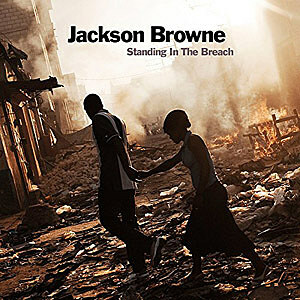 I recently bought Jackson's new album Standing In The Breach and have listened quite a few times now to it. It is a good album that grows on you the more you play it. The instrumentation throughout the album is excellent. Two of the songs on it (the first and the last) have been previously released but now have different musical arrangements. IMO as far as the songs and lyrics go, it seems he has tried to keep a balance between “love” and “political” themes. In spite of its uncertain title, I liked Yeah Yeah from the first listening and it’s still probably my favourite on the album but as you know, that can change in a whim! The Long Way Around is another one I like as is Walls And Doors even though JB didn’t write the latter. Thanks for your music over the years of my youth and all those thereafter! Browne is the first artist ever to receive the Gandhi Peace Award. He is being honored for extraordinary contributions of time and talent to the inseparable causes of world peace, environmental harmony, and social justice. The Award comes with a cash prize and a medallion forged from peace bronze composed of metals salvaged from the control systems of U.S. nuclear missiles. The Award Ceremony will feature short musical tributes by local performers, an appeal for action on the local and planetary levels, and the presentation of the Award itself. Consistent with tradition, Browne has been invited “to present a message of challenge and hope” to those present. A reception follows. The Gandhi Peace Award, named after Indian anti-imperialist and nonviolence advocate Mohandas Gandhi, derives its international renown from those who have accepted it over the years, beginning with Eleanor Roosevelt in 1960. Among the other 53 awardees are Linus Pauling, Martin Luther King, Jr., Norman Thomas, William Sloane Coffin, Benjamin Spock, Wayne Morse, U Thant, Dorothy Day, Daniel Ellsberg, Kay Camp, César Chávez, Marian Wright Edelman, and George McGovern. Since 2011 the Award has been accepted by Arik Ascherman (Rabbis for Human Rights), Amy Goodman (Democracy Now! ), Bill McKibben (350.org), Medea Benjamin (Code Pink), Omar Barghouti (BDS), and Ralph Nader (Public Citizen). Last December Browne released “The Dreamer” a song that considers the situation of those protected under the Deferred Action for Childhood Arrivals (DACA). 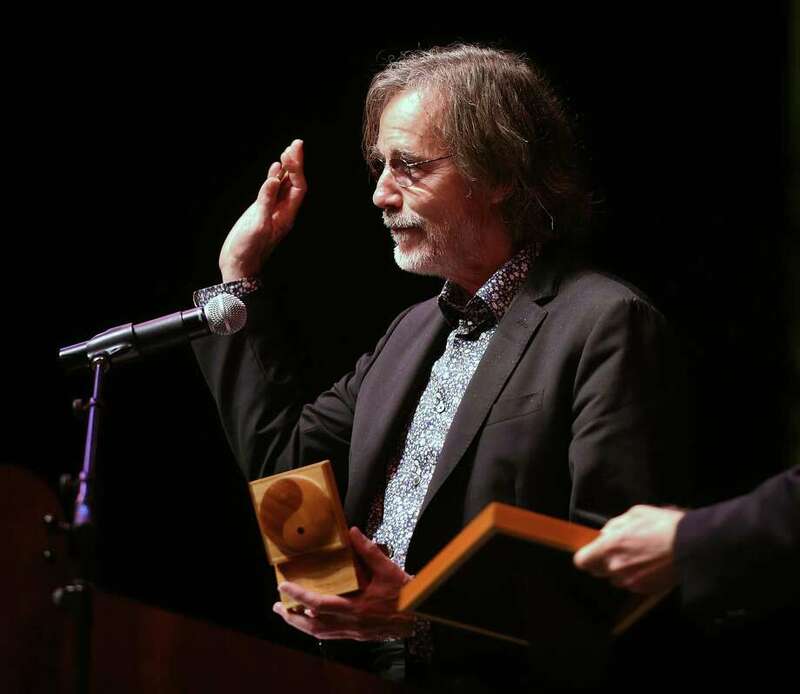 He received this award on Friday 14th Sept and from now on that date has been declared "Jackson Browne Day"
“I’m happy to be here to accept this tremendous honor,” Browne told the crowd in the Lyman Center for the Performing Arts at Southern Connecticut State University. He added that he knew of a number of musicians he considered more deserving of the honor, but that so many of his heroes had received it in the past that he couldn’t say no. “The measure of a good song is that it doesn’t need explaining,” Browne said.